ARE THEY OPEN. ARE THEY REPSONSIVE TO YOU. You can have thin acquaintances with everyone, but you can only go deep with certain people. People of Peace. Focus on those who can work with us to create the kind of neighboring relationships we know God desires for our neighborhood. Jesus taught his disciples this. The ART OF FOCUSING. IF someone refuses or acts disinterested in the love or attention that you show them, there is no need to be catty or mad or offended. Simply dust the dirt off your feet and keep rolling! Invest your relational time wisely. The best way to move forward is to invest time in relationships with those who seem open and responsive. When you sense that people are responding to your efforts to love them, then invest time and energy in them. If they don’t, be secure enough to move on! The Art of Focusing is crucial. If Jesus couldn’t focus on everyone, then you can’t either. Sometimes, not only do you not “click” with them, but there is tension, angst, anger, fighting. When we talk about the ART of FORGIVING, There is a big difference between forgiveness and excusing. This is a fundamental part of the Gospel message of Jesus Christ. Everyone listen up/take notes/act interested. Here is good news for you. that He knows what we have done and where we have been. He has made the choice out of his love for us to forgive us in every area where we have not trusted him and have acted sinfully. Jesus chose to forgive us. Many in the room might not have received that forgiveness. I have good news for everyone in the room today and those on the podcast. Jesus knows what you have done and he still loves you. Jesus knows all the details of your heart and history and he still loves you. In the midst of your life (selfish, wandering, or even evil life), He loves and forgives you. Jesus Choose to Forgive You. Already. Followers of Jesus accept that Jesus took on our sins and carried them to his death. He took our place of death and separation from God on the cross. We REMEMBER what Jesus did for us. We accept it. Now when it comes to our Neighborhood, we MIRROR the Gospel of Jesus. We are a reflection of the SAME LIGHT OF JESUS that saved and forgave us. Now we have the opportunity to forgive those around us. We have one choice in response to being offended: forgive. Forgiving doesn’t mean: pretending it didn’t happen. Jesus didn’t pretend that you didn’t lie or lust or cheat or doubt himForgiving doesn’t mean thinking ‘they probably didn’t mean it’. This is excusing the behavior. This doesn’t make you the bigger or better person. The Gospel of Jesus is a different model. Forgiving goes way beyond just excusing the behavior or moving on. … there is all the difference in the world between forgiving and excusing. Forgiveness says ‘Yes, you have done this thing, but I accept your apology; I will never hold it against you and everything between us two will be exactly as it was before.’ But excusing says ‘I see that you couldn’t help it or didn’t mean it; you weren’t to blame. If one was not really to blame then there was nothing to forgive. What we call “asking God’s forgiveness” very often really consists in asking God to accept our excuses. To be a Christian means to forgive the inexcusable, because God has forgiven the inexcusable in you. God doesn’t ask us to ignore or excuse the offense. He asks us to forgive the offense. Forgiveness is an attitude of the heart. Reconciliation is the hard work of how we go forward together. We have hearts of forgiveness because we remember that we have been forgiven. Once we have forgiven others in our heart, and we truly do not hold anything against them, then we move toward reconciliation. Our problem is often that we think reconciliation is forgiveness. It is not. When you have forgiven someone in your heart and then you approach them and realize that they have not forgiven you or do not want to seek reconciliation, there is no way reconciliation will happen. BUT that doesn’t weaken or discredit the forgiveness in your heart towards them. In our past, we have approached someone where there a ton of conflict (on both sides), we prayed and found forgiveness in our hearts for them and went to ask forgiveness and reconcile. We said we are very sorry for what has happened and we want/look forward to moving forward. And she told Erica. I don’t want to move forward. Reconciliation would not happen. However, we had truly forgiven her and to this day as soon as she wants to move forward we are ready. Done deal. It is tempting to rush a solution, but forgiveness enables us to seek solutions that honor God and others. Practice humility. Is there anything I could have done differently. Ask for forgiveness. Choose to obey Jesus’ command to pray for those who are your enemies. Pray for the power of God’s Holy Spirit to bring supernatural healing and reconciliation. Think about all the times you have been forgiven. Go the extra mile. What is the most loving thing I could do this neighbor? Find an indirect way to bless people. You don’t always have to resolve old wound to be a good neighbor. Neighboring is not always about being happy and comfortable; it’s about allowing God to polish off rough edges. Maturity happens when you put yourself in the place God wants you. Don’t run because there’s adversity. Maybe God wants to use the adversity to make you more like Jesus. 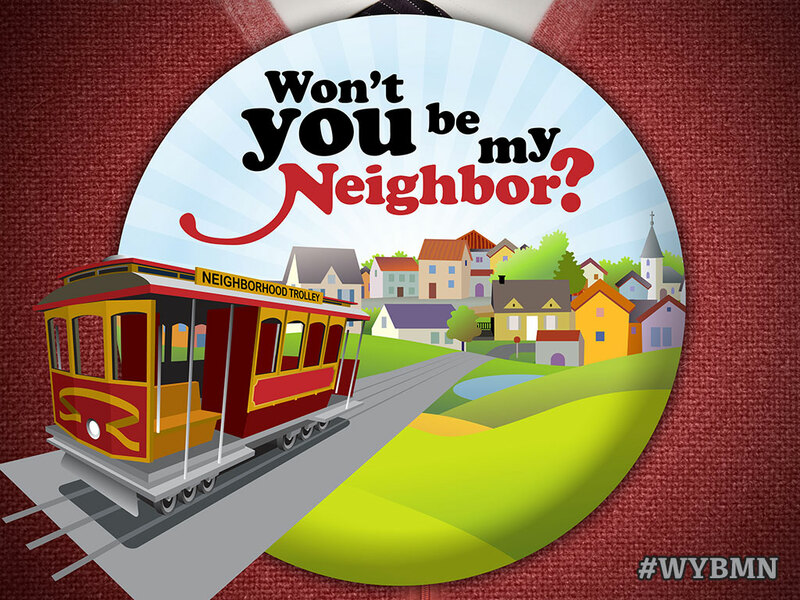 Posted on November 10, 2014, in Sermon Notes, theology and tagged love your neighbor sermon, matthew 18, Matthew 22:37, mr rogers sermon, sermon notes, won't you be my neighbor, WYBMN. Bookmark the permalink. Leave a comment.